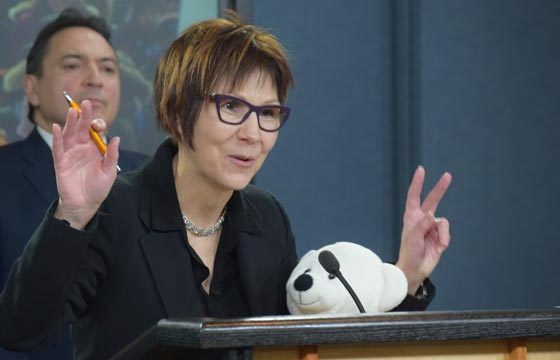 Exactly 10 years after filing a human rights complaint against Canada and a little more than a year after winning it Cindy Blackstock’s fight for First Nations children appears to be far from over. “I can’t believe that I’m standing here,” Blackstock said at a press conference in Ottawa Thursday morning. 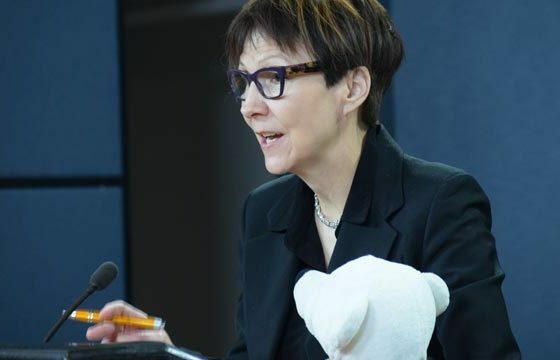 She said the Justin Trudeau government hasn’t complied with an order from the Canadian Human Rights Tribunal to immediately stop racially discriminating against 163,000 First Nations children by underfunding programs. So, despite winning the landmark decision, Blackstock has to keep going to the tribunal to have Canada comply. She said during cross-examinations of federal witnesses recently the tribunal Canada doesn’t know when it’s going to be able to comply. 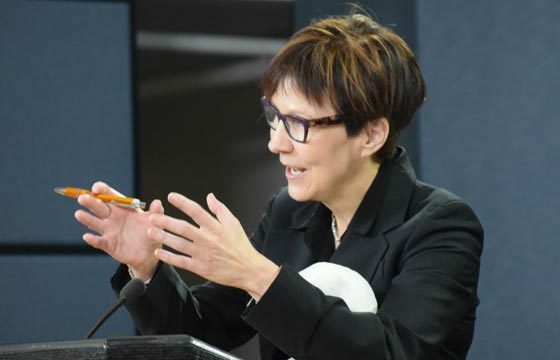 “They have no idea,” Blackstock said, adding the government said it is ‘engaging’ with First Nations and agencies but doesn’t know how long that will take and only when it is done will it be able to comply. She said the feds haven’t sent out the tribunal’s decision to employees, trained them on what it is or make sure they know how to implement it. “They have no mechanism to doing that,” she said. 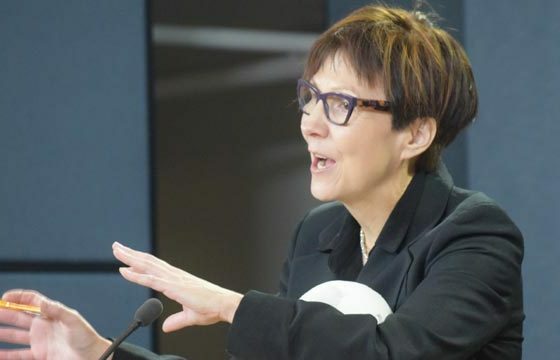 Marie-Claude Landry, chief commissioner of the Canadian Human Rights Commission, said Thursday the tribunal’s decision was meant to end the cycle of inadequate funding. “Every day that goes by without a resolution impacts lives,” said Landry. Blackstock agreed, saying it’s the children who hurting from the lack of action. “The suffering is absorbed by the children and in some cases they are dying. I don’t say that in a matter of exaggeration. Tragically it’s a matter of fact,” she said. She referred to the suicides of two 12-year-old girls in Wapekeka First Nation in northern Ontario last month. The nation reached out to Health Canada requesting funding last summer to fund a suicide prevention strategy but was told it was a bad time in the department’s budget. “Two little girls died by suicide. I don’t know if they would be alive today had Canada provided those services but I think we can all agree that they would have had a far better chance of being with us,” said Blackstock. She said money for that program should have been made available as part of the government’s commitment to fund $382 million in Jordan’s Principle, a program that is supposed to provide health services to First Nations children. But the government has given it a “narrowed” scope to only help children suffering from critical illnesses said Blackstock. In compliance reports, Canada has said it’s only prepared to discuss provisions around mental health services said Blackstock. She said the money available to address the shortfalls for First Nations children hasn’t changed since the tribunal’s order. “When the tribunal ruling came out in January (the feds) did not adjust the budget. When the compliance order came out in April they did not adjust the budget and when the compliance order came out in September they did not adjust the budget,” said Blackstock. The human rights complaint was filed by Blackstock’s organization, along with and the Assembly of First Nations. Blackstock said she still remembers being with then national chief Phil Fontaine in the House of Commons the day it was filed. The shock of having to file a human rights complaint to help children has never left her. “I’ve never gotten over that. I can’t tell you how tired I am of seeing the Canadian government apologize to successive generations of First Nations children for problems they could have prevented,” she said. 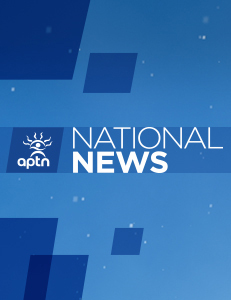 AFN National Chief Perry Bellegarde said Thursday they are not celebrating the 10th anniversary of when they first filed the human rights complaint, which wasn’t a decision that was made lightly. And 10 years later, and a year after winning, they head back to the tribunal to try and get Canada to comply. Too bad we don’t have a government that we can trust to honour its promises or its commitments or even its obligations under law. You would think and hope that since we FN’s cannot find justice within Canada’s judicial system in terms of these issues (or any for that matter), we could elevate our Human Rights case to the International level. Is that a possibility? A lot of this inaction and resistance by the Canadian Government is due to the gutting of departments and budgets by Harper and his lackeys but now we also have to deal with a new government led by a back stabbing liar. Some things never seem to change. Canada is actually one of the most corrupt countries on earth. If it wasn’t we would have managed, in the last 60+ years, to put away 1-3 trillion dollars in a rainy day fund by taxing resource extractors properly, like Norway does. Instead Canada gives these companies billions every year in subsidies and has nothing to show for it except environmental destruction. Other resource rich countries have sovereign wealth funds. Canada has zilch. Happy 150 you thieving creeps in Ottawa. Canada is a corrupt joke.